The other day, I put my summer shorts for the first time this season, and they were a little more snug in the bum than I remember them being last summer. Ugh. I hate it when my clothes just spontaneously shrink like that :) So, in an effort to make a little more room in those tight shorts of mine (aka, drop a couple pounds), I've been working on eating healthier, especially snacking healthier. 1) Avoid excess carbs. Fruit, whole grains, veggies, popcorn, those things are great, but the more refined sugar you consume the hungrier you will be throughout the day, which leads to more snacking. If you don't believe me, try it. I didn't believe it myself until I put it to the test. 2) Focus on protein. Protein tends to be a little higher in calories, but it will fill you up longer. I like to pair fruits and veggies with protein, so I can fill up on the produce, but the protein keeps me full long-term (like apples and peanut butter or carrots and cheese). 3) Schedule a cheat day. I can go 5-6 days eating healthy if I know I get my cheat day. I usually save Saturday for my day off. And I go ALL out! But then by the time Sunday comes around I'm ready to eat healthy again. 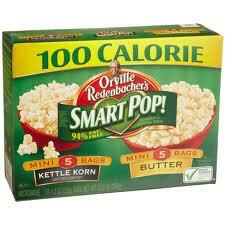 Smart Pop kettle corn: sweet and salty, only 100 calories, fills the empty void in my stomach when dinner isn't too far away, I also like that it keeps my hands and mouth busy when I'm just feeling "snacky"
Veggie Straws: only 130 calories in 34 straws. I counted out 34 straws and that's a HUGE portion. I rarely eat that many, and they're a good substitute for chips. 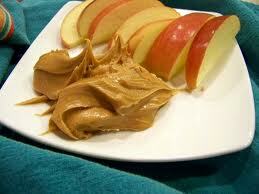 Apples and peanut butter: love this combo, protein, salty and sweet! Always go for crunchy peanut butter! Cheese cubes, any brand, easy protein on-the-go, they are high-cal, though, so limit your portions. 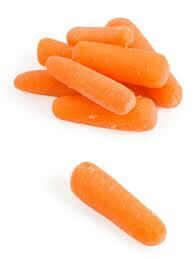 Carrot sticks, tried and true, fills up my tummy and gives me vitamins. My kids love them, too. 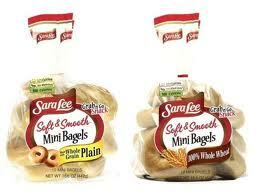 100% whole wheat mini-bagles, great portion control, I eat these for lunch with fruit and a little bit of cream cheese. 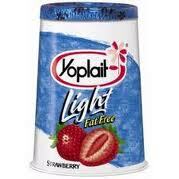 Yoplait yogurt: I've found that I like Yoplait yogurt the best because it's smooth, the store brand is too lumpy. My favorite flavors are peach, key lime, banana and vanilla. Vanilla yogurt on fresh strawberries/blueberries/grapes is pretty darn amazing! I've been cutting back for a couples weeks now and I already feel better! Although yesterday was not my cheat day and, I'll admit, we did have McDonald's for dinner, but it was an insane night where EVERYTHING was going wrong, trust me. No one's perfect, though, right?! it's so true about cheat days - if i let myself go all out one day and eat whatever i want, by the evening i'm SO ready to go back to my normal healthy food the next day! i just discovered the carmel truffle skinny cow bars and i'm in love! i will have to get the cookies n cream ones soon! 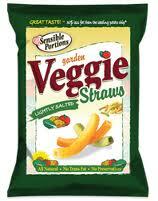 Veggie straws are my new favorite thing! As for yogurt, I've been starting to like the greek yogurt. Its way more protein for just 30 calories more. Oikos and Brown Cow have been the best taste and texture for me. these are some great snack recommendations! 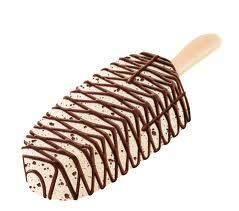 I think I definitely need to put some of those Skinny Cow bars in the freezer for the summertime!